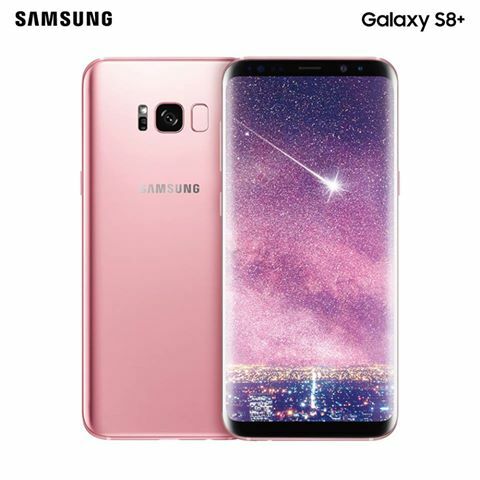 Perhaps taking a cue from Apple’s newly debuted ‘Product Red’ line of iPhones, Samsung has launched a new ‘Rose Pink’ variant of its flagship smartphone, the Galaxy S8 Plus. However, it is only available in Taiwan, and that too for a limited time. The renders of the rose pink color variant were leaked some time back, and now the South Korea-based company has finally made it official. Apart from the new color, everything else remains the same. It features the same 6.2-inch Infinity Display, along with industry-first 10nm processors (either Qualcomm SD 835 or its in-house Exynos chip) with support for Gigabit LTE. The front camera is an 8MP one, with autofocus, while the rear one is a 12MP dual pixel snapper. The cameras also feature power saving capabilities along with AI assistant Bixby‘s image recognition capabilities. Although Samsung has not made any official announcements yet regarding its availability in other regions, it is possible that the pink version of the Galaxy S8 Plus may arrive in other markets in the coming months. Introducing a new color variant is one of the practice that Samsung has been following to keep consumers interested. And the company needs to keep the device interesting until the Galaxy Note 8 unveiling. However, it is pretty much sure that the Rose Pink color variant will only be available on the Galaxy S8 Plus, and not the smaller variant — S8, similar to what Samsung did with Galaxy S7 and Galaxy S7 Edge. If launched in other regions also, there is a pretty good chance that the rose pink color will be renamed to something else. The company did rename Coral Blue, Orchid Grey, Midnight Black, and Maple Gold to Ice Lake Blue, Smoked Purple Grey, Crystal Black, and Quicksand Gold in Taiwan. Last month, Samsung announced the launch of Galaxy S8 Plus with 6GB RAM and 128GB internal storage, in the Indian market. This was a surprising development given that the variant was exclusive to China and South Korea.